China's limited defense spending, which is for safeguarding its national sovereignty, security and territorial integrity, poses no threat to any other country, a spokesperson for the annual session of the country's national legislature said Monday. 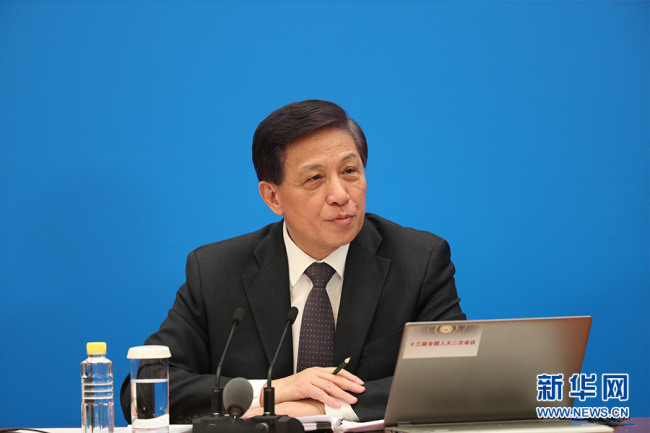 "China will adhere to the path of peaceful development and adopt a defense policy that is defensive in nature," said Zhang Yesui, spokesperson for the second session of the 13th National People's Congress, at a press conference. "Whether a country is a military threat to others or not is not determined by its increase in defense expenditure, but by the diplomatic and national defense policies it adopts," he noted. China has maintained a single digit growth rate in its budgeted national defense spending since 2016, following five consecutive years of double digit increase. Its budgeted growth rate stood at 7.6 percent in 2016, 7 percent in 2017, and 8.1 percent in 2018. While the national defense spending in some major developed countries accounted for more than 2 percent of their GDP, the ratio was only about 1.3 percent for China in 2018, according to Zhang. "China maintains a reasonable and appropriate growth rate in its defense expenditure to meet its demand in safeguarding national security and military reform with Chinese characteristics," he said.